The Philadelphia Inquirer: Philadelphia’s Best Lawyers - The Pearce Law Firm, P.C. The third-oldest newspaper currently in publication in the United States, The Philadelphia Inquirer has earned a national readership and has won well over a dozen Pulitzer Prizes. National acclaim doesn’t come easy, and the paper has earned its reputation through integrity and top-notch journalism. The Philadelphia Inquirer—along with The Wall Street Journal—featured the Philadelphia list of Top-Rated Lawyers. 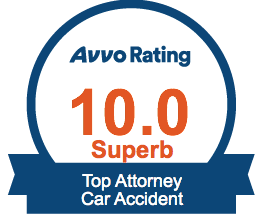 This list was originally published by The Legal Intelligencer, and included only those attorneys who earned the distinction through merit and a history of proven success. Due to her history of ethical practice and achievement both in and out of the courtroom, Edith Pearce has been named one of Philadelphia’s Best Lawyers, as seen in The Philadelphia Inquirer. When you retain the Pearce Law Firm for your case, you’ll quickly discover that this honor was not awarded lightly.